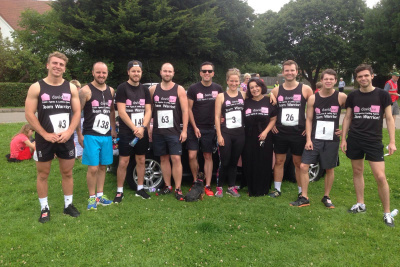 Eight runners, including staff members, family and friends, made up the David Lee team for the Stansted 10k fun run on Sunday 17th July. David Lee were also the main sponsor of the event, which was held in aid of St Clare Hospice. Running under the name ‘Team Warrior’ as a message of support to colleague Shaun Whiter, the runners finished the race - a challenging course - in a range of very respectable times on an extremely warm, humid morning!